Administrative Law Judge Richard T. Breen, Office of Administrative Hearings, Special Education Division (OAH), State of California, heard this matter in Huntington Beach, California, on January 5, 6, 7, and 8, 2009. Caroline A. Zuk, Attorney at Law, represented the District. District Director of Special Education James Keating (Keating) and Jim Hemsley (Hemsely), Executive Director of the West Orange County Consortium for Special Education (WOCCSE), attended the hearing on all days. Student was represented on all days by her Mother and Father. 1. Was the District’s April of 2007 speech and language assessment properly conducted, such that the District need not fund an independent educational evaluation (IEE)? 2. Was Student offered a free and appropriate public education (FAPE) by the September 16, 2008 individualized education program (IEP)? 1. Student is a fifteen-year-old girl. During the relevant time period she was eligible for special education under the categories of emotional disturbance (ED) and speech language impairment (SLI). At all relevant times, Student lived within the boundaries of the District. Student’s primary language is English. 2. Student was first found eligible for special education under the category of mental retardation during first grade in the year 2000. By her fifth grade year in 2003, Student’s eligibility was changed to Other Health Impaired (OHI) and SLI based on assessments by the State of California Diagnostic Center. 3. In the spring of 2007, Student was attending Marine View Middle School in the Ocean View School District. 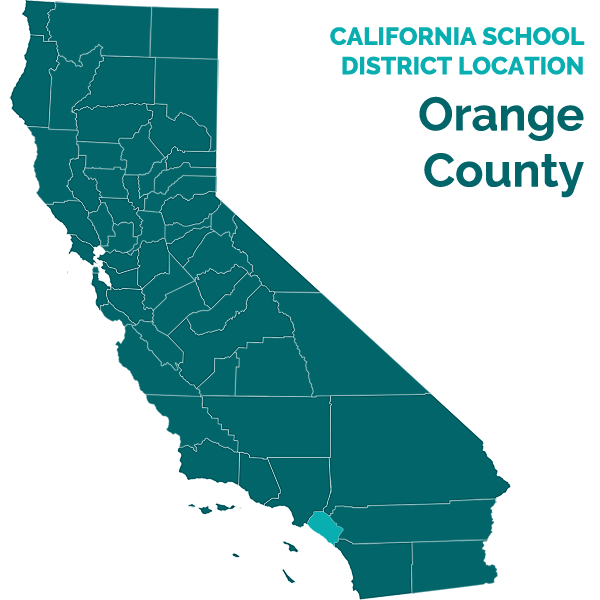 The Ocean View School District is within the same special education local plan area (SELPA) as the District, but only serves students through middle school. 4. In anticipation that Student would be transferring to the District for ninth grade as of the 2007-2008 school year, and for purposes of her three-year evaluation, Student was assessed in the areas of speech, language and reading by Brooke Knowles (Knowles). A psychoeducational assessment was also performed by school psychologist Timothy Baker (Baker) that included assessments related to speech and language. 5. School psychologist Baker assessed Student on April 16, 2007. Baker was a credentialed school psychologist with a master’s degree in education from Pepperdine University. Baker had been a school psychologist since 2006, and prior to becoming a school psychologist had approximately 17 years of teaching experience. Baker had performed over 200 assessments during his career as a school psychologist and had experience assessing students with learning disabilities and emotional disturbance. Baker’s job duties included performing assessments, participating in IEP team meetings, and providing counseling to students. Baker’s testimony was persuasive based on his credentials, his experience as an educator and his demeanor at hearing, which demonstrated that he was passionate and committed to doing his best for students. 6. Baker performed a comprehensive psychoeducational assessment of Student that included a review of school records, parent and Student interview, consultations with other District personnel, observation, review of health and developmental history, and a battery of standardized tests. Baker’s assessment addressed the following areas: intellectual functioning; academic performance; academic processing; auditory processing; visual-perceptual and sensory-motor processing; attention; memory; adaptive behavior; social, emotional, adaptive and behavioral functioning; and, the relationship between behavior and academic and social functioning. The tests were given in English, were not racially, culturally or sexually discriminatory, were given according to the test instructions and were valid for the purpose for which they were used. 7. Baker’s psychoeducational assessment confirmed that Student was not mentally retarded, as demonstrated by the results of intellectual functioning subtests that were not language based. However, the totality of assessments confirmed that Student had unique needs in the following areas: written expression; math reasoning and calculation; reading fluency; reading comprehension; word recognition; vocabulary; expressive and receptive syntax and semantics; listening comprehension; successive processing; long and short term auditory memory; attention; processing speed; and penmanship. In the social/emotional area, Student had unique needs in: school attendance; peer relations; anxiety, and somatic symptoms. Overall, Baker concluded that Student’s anxiety and somatic complaints best explained Student’s needs in the area of attention. 8. Baker prepared a comprehensive report regarding his assessments that included interpretations of the assessment data, identification of Student’s unique needs and recommendations. 9. Speech Pathologist Knowles assessed Student on April 18, 23, and 25, 2007. Knowles was a “Special Programs Specialist” for the District whose duties included overseeing and implementing speech and language therapy programs and literacy programs. Knowles was a licensed speech pathologist with a certificate of clinical competence and a California clinical rehabilitative services credential. Knowles had authored a series of books about warm up exercises to be used at the beginning of speech therapy sessions. Knowles was also a certified trainer for the LANGUAGE! program, a comprehensive curriculum for use with students with language-related learning disabilities. Knowles had assessed approximately 1000 children during her 31 year career, including children with emotional disturbance. Knowles’ testimony was persuasive in light of her dual training in speech pathology and literacy and her direct, knowledgeable testimony. 10. Knowles reviewed prior assessment reports and school records before beginning her testing. Knowles also observed Student in her LANGUAGE! class and a computer lab, and talked to Student’s LANGUAGE! teacher. Knowles was aware that Student had a history of speech language impairment which Knowles described as a “language based learning disability.” Knowles began her assessments by building rapport with Student. Although the assessment sessions were never longer than an hour and a half, Student manifested anxiety by asking to take restroom or other breaks. Knowles saw that Student appeared visibly anxious by biting her nails and picking at her arm when asked to repeat an oral passage verbatim. During the assessment, Knowles was calm and reassuring to Student. 11. Knowles assessed Student using a variety of standardized assessments that were validated for the specific purpose for which they were used and that were administered in conformance with the test instructions. The assessment instruments were chosen based on Student’s history, whether the tests were appropriate for adolescents, and whether the assessments would provide useful data as a follow-up to prior assessments. Knowles persuasively explained that reading assessments were included because speech and language ability impacts learning how to read. The assessments were given in Student’s primary language of English and were not racially, sexually, or culturally discriminatory. Knowles had experience administering all of the assessment instruments that she used. 12. Knowles administered the Clinical Evaluation of Language Fundamentals – 4 (CELF-4), a standardized test that was designed to comprehensively measure listening and speaking skills, including working memory. Student scored in the 5th percentile on the following subtests: formulated sentences; recalling sentences; word classes – receptive; word classes – expressive; and, word classes – total. Student scored in the 2nd percentile on the following subtests: word definitions; understanding spoken paragraphs; and, sentence assembly. Student scored in the .11th percentile in the area of semantic relationships. The core and index scores on the CELF-4 revealed that Student was in the 2nd percentile in core language and the expressive language index, in the 1st percentile in language content, and in the .4th percentile in the receptive language index and the language memory index. Knowles interpreted the CELF-4 results as demonstrating that Student had “severe” receptive and expressive language deficits. 13. Knowles also administered selected subtests of the Woodcock Johnson III Tests of Achievement (WJ-III) in the areas of oral language and listening comprehension. Knowles chose these tests in part because she knew that school psychologist Baker had also administered the WJ-III for academics. Student achieved subtest scores in the 7th percentile in oral comprehension and picture vocabulary, 3rd percentile in understanding directions, and 2nd percentile in story recall. Student achieved composite scores in the 4th percentile in oral expression, the 3rd percentile in listening comprehension, and the 2nd percentile in oral language. The WJ-III results were consistent with the CELF-4, revealing a “severe” expressive and receptive language deficit. The results obtained by Knowles were consistent with Baker’s psychoeducational assessment. 14. Knowles administered the Peabody Picture Vocabulary Test – III, to assess Student’s vocabulary using pictures. In light of Student’s history of language deficits, this test was selected because it could assess Student’s vocabulary using picture cues. Student scored in the 3rd percentile, again revealing a “severe” deficit. 15. Knowles administered the Clinical Test of Phonological Processing (CTOPP) to assess knowledge of phonological structure, coding of information in memory and retrieval of information. The CTOPP was related to Student’s reading ability. Student achieved the following subtest scores: 84th percentile in blending words (connecting individual phonemes to understand a word); 25th percentile in non-word repetition; 5th percentile in memory for digits; 2nd percentile in elision (deleting a consonant upon request); and 1st percentile in rapid digit naming and rapid letter naming. Student’s composite scores were: 27th percentile in phonological awareness; 8th percentile in phonological memory; and 1st percentile in rapid naming. Knowles interpreted these results as showing that Student had the ability to identify and process individual phonemes but that Student had deficits in memory and response time. 16. Knowles administered the Test of Word Reading Efficiency to measure how efficiently Student could read sight words and pronounceable non-words. This test addressed reading skills and phonemic ability. This test reflected Student’s overall reading deficits based on her scores in the 2nd percentile in both sight word efficiency and phonemic decoding efficiency. 17. Knowles administered the Gray Oral Reading Test – 4 (GORT-4) to assess the rate, accuracy, fluency and comprehension of Student’s oral reading. This test was selected because it required Student to read aloud, giving Knowles an opportunity to listen for any deficits. The test was also intended to elicit information about how Student’s language deficits impacted her reading. Student achieved a composite score in the 1st percentile. Student scored lower than the 1st percentile on the rate, accuracy, and fluency subtests, and in the 2nd percentile on the comprehension subtest. At the time, Student’s instructional reading fluency (her level in classroom conditions) was 70 words per minute at the third grade level. Knowles interpreted the GORT-4 as showing that Student’s independent reading level (the level she could read without help from instruction) was at the second grade level, that Student read word-for-word rather than by phrases, and that Student was not monitoring her own comprehension as she read. 18. Knowles also used informal assessments consisting of a language sample and analysis and a story reformulation task. The informal assessments were intended to determine whether the standardized assessment results were consistent with Student’s abilities in a more natural setting. The language sample was a structured interview that was designed to yield information about seven functions of language: inquire, instruct, test, describe, compare/contrast, explain, analyze and hypothesize. The structured interview becomes more difficult as it progresses and Knowles saw that Student’s expressive language deteriorated as the tasks required more language or became more abstract. Student was able to formulate “wh” questions on a topic of interest (pet care), but had difficulty accessing language to instruct, describe, explain, or compare and contrast. The story reformulation task required Student to repeat, in her own words, a one page story that had been read to her. With prompts and cues, Student was able to remember one third of the main ideas and four percent of the details. Knowles concluded from the story reformulation task that Student displayed poor listening comprehension skills that would affect reading comprehension and understanding classroom directions. Overall, the informal assessments confirmed that Student had comprehensive language deficits and that Student’s anxiety increased when challenged in these areas. 19. Knowles prepared a comprehensive report regarding her assessments that included her interpretations of the assessment data, identification of Student’s unique needs and recommendations. 20. The speech and language report and the psychoeducational report were provided to Mother and Father and discussed at an IEP team meeting in May of 2007. At the meeting, Mother and Father were given a copy of the procedural rights booklet. Parents had an opportunity to discuss the assessment results with the assessors and they asked questions about language services and the implications for Student learning to read. 22. On September 15, 2008 the District received a letter from Student’s attorney requesting “Funding for a speech and language assessment conducted by Abbey Rosenberg in the amount of $1,200.00.” Mother understood the attorney’s letter to be a request for an IEE. The District reasonably interpreted this letter as Student’s first request for an IEE at public expense in the area of speech and language. 23. For the 2007-2008 school year, Student was in the ninth grade at Ocean View High School. As the school year progressed, Student had an increasing pattern of absences and truancy from classes. Student was absent the most from academic classes, which were the most challenging for her. Despite her operative IEP including school-based counseling, Student attended twice, and dropped by for counseling from school psychologist Baker once. Student expressed to school psychologist Baker that she did not believe that Ocean View High School staff wanted to help her and that she felt that staff did not understand her. Student was not receptive to counseling from Baker that she needed to adjust her own behavior rather than that of others. By April of 2008, Student’s overall attendance was just under 70 percent. Despite the above, Student had developed some friendships at school. 24. Student stopped attending school on April 1, 2008, after an incident in which her LANGUAGE! instructor and school psychologist Baker prevented Student from tape recording her class. When told that she could not record the class, Student expressed that she needed to go to the nurse’s office. While Student was at the nurse’s office, Mother received a call from Student in which Student said that school staff had yelled at her to either have Mother pick her up from school or school security would be called to take her back to class. According to Mother, Student felt threatened and believed she had done something wrong. 25. An annual IEP team meeting was held on April 25, 2008. At the meeting, the team members reviewed Student’s unique needs in the areas of verbal expression, social thinking, expressive and receptive semantics and problem solving. The IEP team explained Student’s present levels of performance to parents. Parents did not provide any input into the reading goals. Student was offered placement in a special day class at another high school in the District based on discussions that Student had been having difficulty at Ocean View High School and because the other high school had a functional skills academics program that members of the team thought would be beneficial to Student given her unique needs. Student was offered the following related services: group speech and language therapy once a week for 45 minutes; individual speech and language therapy twice a week for a total of 90 minutes; individual counseling twice a month for a total of 60 minutes; and sophomore career planning once per school year for 50 minutes. The IEP did not specify the names of District personnel who would provide the instruction and related services. Student was offered extended school year placement. The IEP contained 14 goals that addressed Student’s areas of unique need. The IEP contained an individual transition plan for post-secondary goals that reflected post-secondary goals of vocational training, employment and independent living, along with activities to support those goals such as travel training, career planning, gathering necessary documents and acquisition of daily living skills. Parents were given a copy of the procedural rights booklet. 1 This issue of whether the April 25, 2008 IEP offered Student a FAPE at the time it was written was not raised by the complaint and is outside the scope of this Decision. To the extent facts relating to it are relevant to determining whether Student was offered a FAPE in the September 16, 2008 IEP, they have been included. 2 At hearing, Mother gave credible testimony about Student’s activities and emotions after she left school on April 1, 2008. However, because there was no evidence that the District was aware of this information from Mother, other than through Dr. Haraszti’s letter and Mother and Father’s statements at the September 16, 2008 IEP, Mother’s testimony on this point, as well as the testimony of a housemate, was not considered for purposes of this decision. 3 Keating’s testimony was credible in all respects. Keating possessed master’s degrees in reading, special education and school administration. He also had 36 years experience in education, the last 15 of which were as a special education director. His job duties included oversight of home and hospital instruction programs, which gave him extensive experience in developing plans to help students return from a home placement to school. 26. School psychologist Baker explained that the counseling offered in the April 25, 2008 IEP was school-based, meaning that it was related solely to issues about school, such as school-related phobias, anxiety or somatic complaints. Other counseling services, such as those provided through county mental health programs, were intended to address the totality of a student’s psychological needs. 27. At the IEP team meeting, Mother and Father were presented with an academic assessment plan that included reading assessments. Mother and Father did not provide their consent to assess Student. Student was also offered a referral for assessment by the Orange County Behavioral Health Care Agency (OCBHCA). Mother and Father would not consent to the referral because they believed Student did not require the services. Mother and Father did not consent to the April 25, 2008 IEP offer. 30. An IEP team meeting was scheduled for September 16, 2008. Prior to the IEP team meeting, the District had provided copies of all of Student’s records and assessment materials to Mother, Student’s independent psychoeducational assessor, Dr. Christine Davidson (Dr. Davidson), and Student’s attorney. During the summer of 2008, Mother had contacted WOCCSE Director Hemsley because she was concerned that she had not gotten all of Student’s records. In particular, Mother was concerned that the family had not received all of the test “protocols.” At hearing, Mother explained that she did not agree with the present level of performance in reading fluency. Hemsley followed up with his staff, who assured him that all records had been provided to Mother. No test “protocols” or other standardized testing, other than the April of 2007 assessments by Knowles and Baker, existed. Knowles persuasively explained that the present level of reading performance in the April 25, 2008 IEP had not been based on a particular test, but on Student’s performance in the LANGUAGE! class. Special education coordinator Keating persuasively explained that any documents reflecting that performance could not be found because the LANGUAGE! program was taught using a “consumable workbook” that was not retained in student records after the end of the school year. 31. At the September 16, 2008 IEP team meeting, Mother and Father attended with an attorney who spoke on their behalf. Mother and Father also participated in the meeting and were provided with a copy of the parent rights booklet. Mother and Father provided the District with another letter from Dr. Haraszti. In addition to the complaints listed in the August 15, 2008 letter, Dr. Haraszti reported that Student “has become increasingly agitated and has complained of auditory and, at times, visual hallucinations.” As a result, he planned to have Student admitted to the Las Encincas Hospital’s Child and Adolescent Unit based on a preliminary diagnosis of Bipolar Disorder, mixed type, with psychotic features. Dr. Haraszti recommended that upon discharge from the hospital Student should be home schooled and should not be placed in a special education or mainstream class. Dr. Haraszti acknowledged that he was unable to make detailed recommendations until Student was assessed in the hospital and that Student’s IEP would need to be amended upon her discharge. He generally recommended a “very structured educational environment” that could address both Student’s emotional and educational needs.” The letter did not specifically make a recommendation about whether Student could interact individually with District personnel at a school site. Mother and Father told the District that Student would be hospitalized the next day, September 17, 2008. Dr. Haraszti did not attend the IEP and did not provide any information to the District. The District considered and accepted Dr. Haraszti’s recommendations and believed that Student would be hospitalized the next day. Based on the new information provided by Mother and Father, the IEP team developed a program for Student that could be implemented immediately upon her release from the hospital. 32. The September 16, 2008 IEP amended the April 25, 2008 IEP to offer Student the following placement and services upon her release from psychiatric hospitalization: two, thirty-minute school-based counseling sessions per month at a “neutral school/district site;” four, two hour sessions of individual, specialized academic instruction at home per week; two, forty-five minute speech and language therapy session per week at a “neutral school/district site;” and, completion of a 50-minute career awareness class at a school site. Student’s previous instructional aide would participate with the home teacher for 2 hours per week for the first two weeks of home instruction. The offer of placement and related services was through April 25, 2009, the time for Student’s annual IEP; however, consistent with Dr. Haraszti’s letter, the IEP team would meet to review Student’s needs 30 days after Student was released from the hospital. The IEP team also recommended that Student be referred to OCBHA for assessment and services. Mother and Father consented only to the home schooling offer in the IEP. 33. At hearing, the parties stipulated that the following provisions of the September 16, 2008 IEP addendum were appropriate: four, two hour sessions of individual, specialized academic instruction at home per week; two, forty-five speech and language therapy session per week; completion of a 50-minute career awareness class; and, that for the first two weeks of home instruction, Student’s previous instructional aide would participate with the home teacher for 2 hours per week. The parties did not stipulate that the proposed location of the speech and language services at a neutral, District site was appropriate or that the offer of school-based counseling at a neutral District site was appropriate. 34. Knowles, Baker and District director of special education Keating 3 were all members of Student’s IEP teams on April 25, 2008, and September 16, 2008. Each plausibly testified that the offer of speech and language and counseling services at a location other than Student’s home in the September 16, 2008 IEP met Student’s unique needs. In particular, they persuasively testified that in light of Student’s history of anxiety about school, and the need to ultimately educate Student in the least restrictive environment, it would be beneficial to have Student maintain some connection to school facilities without the pressure of attending with other Students. Dr. Haraszti’s letters mainly referred to removing Student from a classroom environment and did not specifically state that Student should remain at home for counseling or therapy. 35. The offer of school-based counseling after hospitalization was also appropriate and consistent with Dr. Haraszti’s recommendations. Dr. Haraszti’s September 16, 2008 letter specifically recommended that any educational placement also address Student’s emotional needs. School psychologist Baker plausibly explained that based on his knowledge of Student at school and his nearly 20 hours spent assessing her, Student’s anxiety would not lessen merely by changing her educational placement to the home. Continuing school-based counseling was appropriate because the counseling was intended to address the issues unique to school attendance and performance, not the entirety of Student’s psychological problems. Although Mother testified that Student did not like Baker, and Baker corroborated that Student appeared not to like him, the IEP did not expressly state who would provide the counseling. 36. The September 16, 2008 IEP addendum did not change the goals from the April 25, 2008 IEP. The parties stipulated at hearing that the following academic goals were appropriate: Goal One – math calculation; Goal Two – calendar skills/organization; Goal Three – written expression/daily living skills; Goal Four – following directions; Goal Five – math reasoning/daily living skills; and, Goal Six – work initiation and completion. The parties stipulated that the following goals in the IEP were appropriate for speech and language therapy: Goal Seven – vocabulary; Goal Eight – social thinking; and, Goal Nine – verbal expression. The parties did not stipulate to the appropriateness of Goal Eight as a social/emotional goal, Goals Ten, Eleven, and Twelve as social/emotional goals, and Goals Thirteen and Fourteen as reading goals. 41. School psychologist Baker acknowledged that Goal Eleven and Goal Twelve in the IEP did not appear on their face to be applicable to home teaching as of September 16, 2008, because they referenced school attendance and visits to the nurse’s office. However, special education coordinator Keating plausibly explained that these goals, as well as Goal Eight and Goal Ten, were still appropriate as of September 16, 2008, because given Student’s history of absences and somatic complaints for avoidance of challenging academic tasks, Student’s behaviors would likely still occur in the home. Moreover, because the IEP contemplated a 30-day review period and the receipt of additional information following hospitalization, the goals remained appropriate as of September 16, 2008. 42. Annual Goal Thirteen addressed reading fluency based on Student’s present level of performance as of April 25, 2008, of reading 100 words per minute from text at the early fourth grade level. The goal read: “[Student] will read a narrative and expository text at the mid fourth grade level with appropriate pacing, intonation, and expression at a rate of 110 words per minute.” Knowles persuasively explained that the present level of performance was derived from Student’s performance on the LANGUAGE! program workbooks as verified by in-class observation. The 100 words per minute fluency at the early fourth grade level had not been derived from standardized testing such as the WJ-III. The reading fluency present level of performance was consistent with Student’s progress in class as of April of 2008 and was also consistent with the April of 2007 GORT-4, which showed that at the time Student was reading 70 words per minute at the third grade level. Knowles also persuasively explained that there was a difference between an independent reading level, i.e., what Student could do with 90 percent accuracy with no instruction, and her instructional level, i.e., what Student was capable of with the support of instruction. Goal Thirteen addressed Student’s unique needs and was consistent with Student’s instructional reading level as assessed by classroom performance on the LANGUAGE! workbook, class observation and the prior results on the GORT-4. 43. Annual Goal Fourteen addressed reading comprehension based on Student’s present level of performance as of April 25, 2008, of being unable to answer “wh” questions about a passage unless provided with one-to-one assistance and prompting. The goal read: “When given a text written at her independent reading level, [Student] will be able to independently formulate 5 wh-questions that demonstrate her understanding of the information read with 70% accuracy in 3/5 trial as measured by student work samples.” The goal addressed Student’s unique needs because Student’s present level of performance showed that Student had great difficulty answering “wh” questions and had not met her prior goal. The goal was addressed to Student’s comprehension at her independent reading level (the level she could read at without assistance). The goal was written in a way that sought to improve Student’s engagement by having Student generate the questions, rather than just respond to the pre-written questions in the materials. By writing the goal in this way, Student’s frustration and anxiety could also be addressed because Student would be able to answer based on the information that she remembered. 44. Student presented expert testimony from Dr. Davidson on the issue of whether the reading goals were appropriate. Dr. Davidson had a bachelor’s degree in elementary education, a master’s degree in counseling and a doctorate in “Educational Management.” Dr. Davidson had over 30 years experience in education as a teacher, school psychologist and administrator. Dr. Davidson assessed Student in July and August of 2008 and provided Mother and Father with a written report on October 21, 2008. Based on her administration of standardized assessments and her impressions of Student’s emotional state, she opined at hearing that Goal Thirteen (reading fluency) and Goal Fourteen (reading comprehension) were not appropriate. As to Goal Thirteen, Dr. Davidson concluded based on her administration of the WJ-III Reading Fluency subtest that it was too advanced for Student. As to Goal Fourteen, Dr. Davidson concluded based on her administration of the WJ-III Passage Comprehension subtest that the goal underestimated Student’s abilities. Dr. Davidson’s opinions did not demonstrate that the reading goals were inappropriate as of the September 16, 2008 IEP because neither Dr. Davidson’s testing, nor her opinions, were ever provided to the IEP team prior to September 16, 2008. Moreover, Knowles persuasively explained that Dr. Davidson’s results on the WJ-III would not necessarily reflect Student’s present level of performance in reading fluency in a classroom setting. The WJ-III tested reading fluency by having Student answer a series of true or false questions. In contrast, Student’s present level of performance in reading fluency was based on tracking Student’s ability to properly read aloud from the LANGUAGE! workbook and on Student’s 2007 scores on the GORT-4, which was also based on reading aloud. The WJ-III Reading Fluency subtest does not generate a words per minute result. Similarly, the WJ-III Passage Comprehension subtest did not directly measure Student’s ability to answer “wh” questions about a passage, but instead required Student to fill in the blanks in sentences. Dr. Davidson described this as a “closed procedure” test, whereas the ability to answer “wh” questions is more open-ended. 2. District contends that it does not have a duty to provide Student with an IEE at public expense in the area of speech and language because the District’s April of 2007 assessment in this area was properly conducted. Student disagrees, contending that Knowles’s assessment was not proper because in the April 25, 2008 IEP Knowles described Student’s present level of performance in reading as 100 words per minute at the fourth grade level, which, Student contends was not correct. As discussed below, the District met its burden of demonstrating by a preponderance of the evidence that the April of 2007 speech and language assessment was properly conducted. 9. Here, speech language pathologist and literacy specialist Knowles was well qualified to perform the April of 2007 assessments. Knowles assessed Student using a variety of assessment instruments, ranging from standardized tests to observation, in order to determine Student’s unique needs in the areas of listening, speaking, memory, comprehension, vocabulary, phonetic awareness and reading. The assessment was consistent with Student’s history of speech and language impairments. The assessment was not racially, sexually, or culturally biased, was given in Student’s primary language of English, and the assessments were valid for the purpose for which they were used. Student’s eligibility for special education was not at issue at the time of the assessments. Mother and Father were provided with a comprehensive report that explained all of the assessments, the results, and Knowles’ recommendations. The report even included Knowles’ observations of how Student’s emotional issues impacted her and her performance. The report was shared with parents at an IEP team meeting. School psychologist Baker was also highly qualified to assess Student, and the portions of his assessment and report that addressed speech and language corroborated Knowles. Mother’s summer of 2008 correspondence to the District was not a request for an IEE and merely expressed disagreement with District assessments; whereas an IEE was unequivocally requested by the September 15, 2008 letter from Student’s attorney. The District timely responded to Student’s September 15, 2008 request for an IEE by filing for due process on October 7, 2008. 11. The District contends that it offered Student a FAPE in the September 16, 2008 IEP addendum. In particular, the District contends that the September 16, 2008 IEP offered Student a FAPE because it met Student’s unique needs given that at the time it was expected that Student would be receiving inpatient psychological treatment for an indeterminate period. Student contends that to be appropriate, all instruction and related services offered in the IEP had to be delivered in the home and that the social/emotional and reading goals were inappropriate. As discussed below, the District met its burden of proving by a preponderance of the evidence that it offered Student a FAPE in the September 16, 2008 IEP addendum. 22. Here, the April 25, 2008 IEP, as amended by the September 16, 2008 addendum was designed to meet Student’s unique needs and was reasonably calculated to provide educational benefit to Student in light of the information known by the District at the time. First, at the time of the September 16, 2008 IEP the District accepted Dr. Haraszti’s reports and the information provided by parents and their attorney at face value, i.e., the IEP team reasonably believed based on the information provided that Student would be hospitalized the next day for her anxiety and other symptoms and it was unknown what her needs would be upon discharge from the hospital. The IEP was appropriately sensitive to the lack of specific information about Student’s mental health and contained a review period at which it could be adjusted depending on the results of Student’s hospitalization. The IEP met the requirements of specifying the start and end dates, frequency, duration and location of services, and contained an adequate post-secondary transition plan that was consistent with her unique needs. The evidence showed that prior to the September 16, 2008 IEP team meeting, parents had received all Student records, parents participated at the meeting and at the earlier, April 25, 2008 meeting, and that the correct District personnel attended. 23. The parties stipulated at hearing that all placement and services were appropriate with the exception of the location of speech/language therapy and school based counseling and the provision of school-based counseling. The evidence showed that the offer of school-based counseling and speech and language services at a neutral District site was appropriate. Dr. Haraszti’s letters expressly stated that Student would require emotional support in her educational setting. Although Dr. Haraszti recommended that Student not be placed in a classroom, his letter was silent on the location of therapy and counseling. Neither the April 25, 2008 IEP, nor the September 16, 2008 IEP addendum, contemplated having Student return to Ocean View High School, which Student associated with her anxiety. Instead, the September 16, 2008 placed Student at a “neutral” District location, which on its face meant a District location other than Student’s prior placement. School psychologist Baker and director of special education Keating persuasively testified that it would be beneficial to have Student maintain some connection with school facilities because ultimately the goal for all special education students is placement in the least restrictive environment. The IEP did not specifically mandate that school psychologist Baker would provide the counseling, such that any concern that Student did not appreciate Baker could be addressed if needed. 24. The parties stipulated that all goals were appropriate except for Goals Ten through Fourteen and Goal Eight as a social/emotional goal. The evidence demonstrated that the social emotional goals (Goals Eight, Ten, Eleven and Twelve) remained appropriate as of September 16, 2008, particularly when Student’s independent psychiatrist notified the District that he could not be certain of Student’s needs until after Student was hospitalized. As to the reading goals, the evidence showed that Goals Thirteen and Fourteen were appropriate and based on the most recent information that the District had regarding Student’s present levels of performance. The reading goals were also based on input from IEP team members that had worked with Student while she was enrolled in school. Although Student’s expert, Dr. Davidson, testified that the goals were not consistent with her impressions of Student, her input was never provided to the District prior to September 16, 2008. Moreover, Dr. Davidson’s opinions relied on her and Baker’s WJ-III results and not on Student’s classroom performance. Further, the District had attempted to gather further information about Student’s reading levels through standardized testing in April of 2008, but parents had not consented to the assessments. Finally, all of the goals were measurable and related to Student’s unique needs and the instruction and services offered in the IEP. 1. The District has no obligation to fund Student’s September 15, 2008 request for an IEE in speech and language. 2. Student was offered a FAPE by the April 25, 2008 IEP as amended on September 16, 2008.